It’s a surreal, otherworldly scene: ornate palaces with the finest appointments being used as temporary shelter for American soldiers. 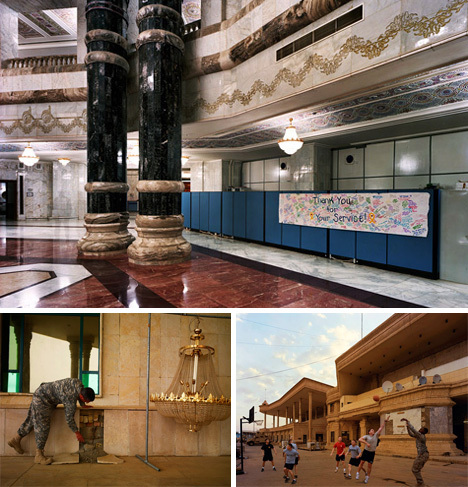 The detritus of their everyday lives mingles with the ornate columns, shiny marble floors and war rubble in the palaces built by former Iraqi dictator Saddam Hussein. 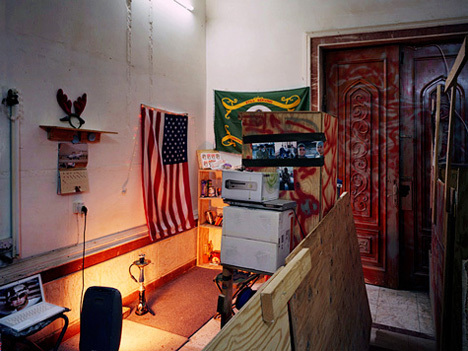 After the dictator was forced from power and his property seized, the US Army moved their command headquarters into Al-Faw Palace in Camp Victory. 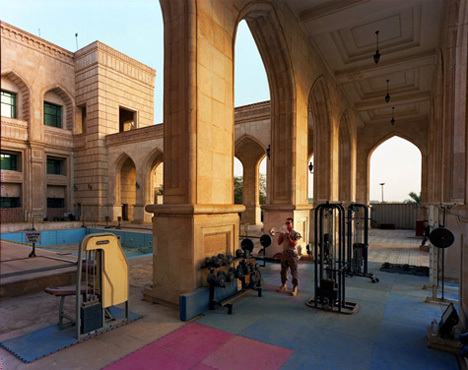 Photographer Richard Mosse traveled to Iraq to document this bizarre circumstance, this juxtaposition of supposed liberators dwelling in the very home of the dictator they vowed to depose. He called the resulting book Breach, a nod to the liberators stepping into the breach they created when Hussein was removed from power. That’s not to say that Mosse’s work is sternly anti-war. 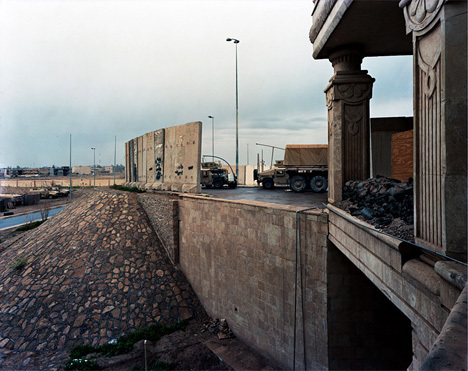 He seeks to show extraordinary images of an unprecedented situation with a fair measure of neutrality. 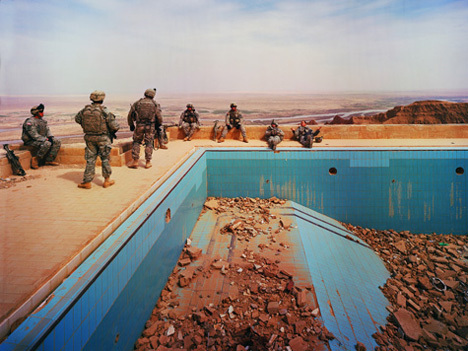 He didn’t resort to telling one side of the story or another; he simply made photographs that, regardless of how you feel about the war, are moving. 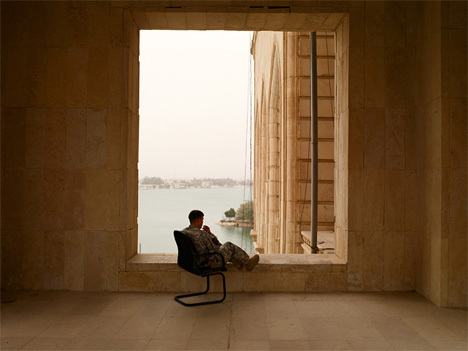 Al-Faw wasn’t the only palace occupied by US forces. 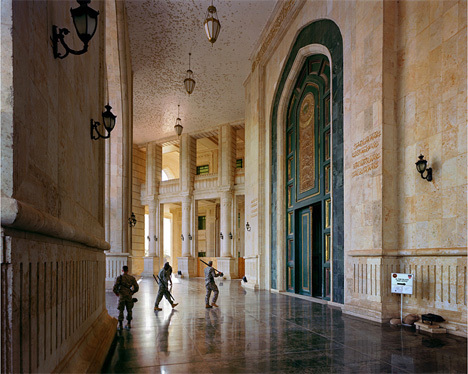 Of the 81 palaces Hussein built for himself, Mosse was only able to visit three in his month in Iraq: Al-Faw in Baghdad, Al-Salam in Baghdad, and Saddam’s Birthday Palace in Tikrit. 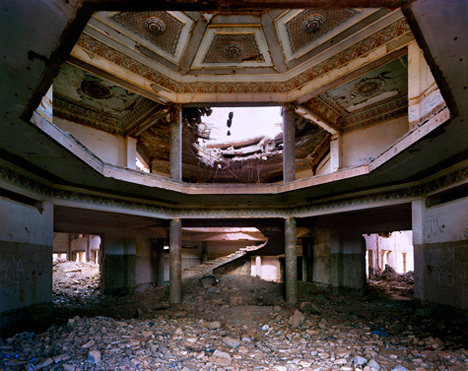 Many of the palaces are falling apart, both because of war damage and because they were built in a time of harsh embargoes. 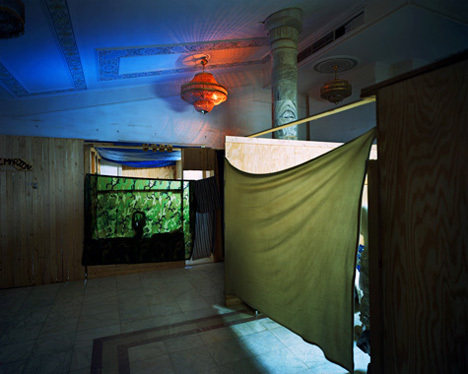 The palaces were also constructed quickly, with Hussein desiring a palace in nearly every city. 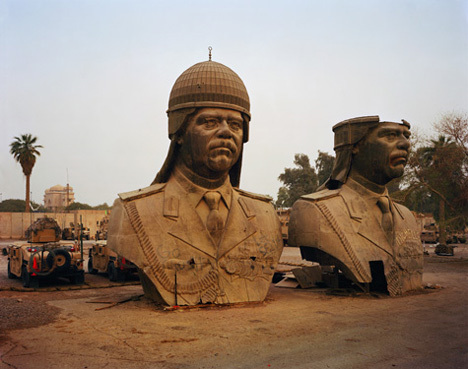 The dictator’s goal seems to have been to inform Iraqis that he was everywhere at all times. In a fascinating interview with BLDGBLOG, Mosse describes the experience of visiting the palaces as surreal. 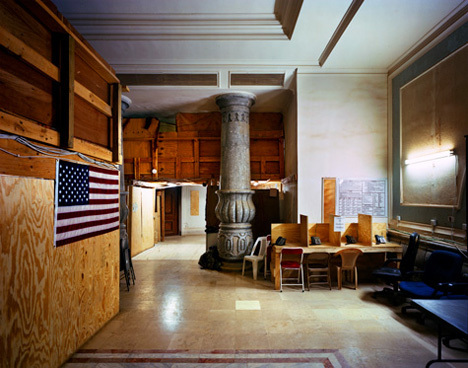 The oddly decorative bits and pieces of American soldiers’ daily lives strewn about the self-indulgent chambers were part of another world just waiting to be explored. 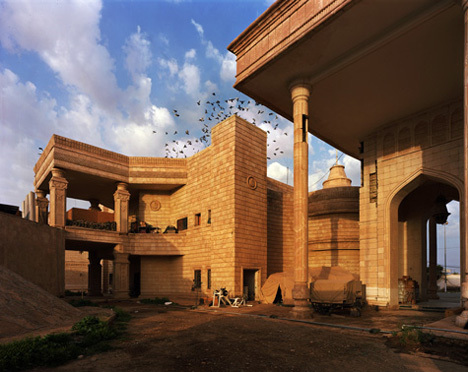 Notable not only for the bizarre combination of Hussein-era opulence and American soldiers’ flotsam, Mosse’s photos are also incredible journeys through some very interesting architecture. 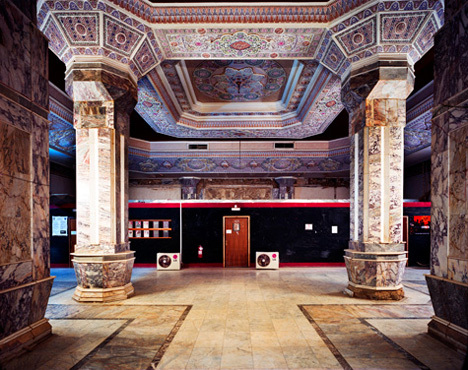 Plywood cubicles resting precariously beneath ornate chandeliers. Company and squadron insignia taped to the heavy marble walls. 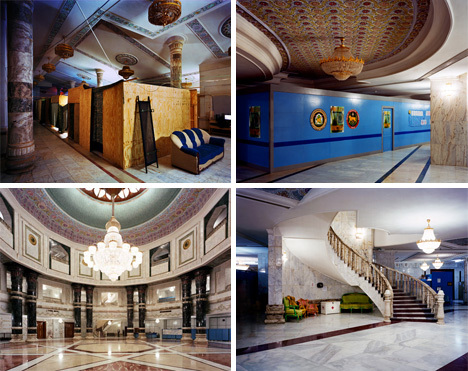 Impossibly massive halls with impossibly garish features. It seems that he tried to capture the feeling of the locations, rather than the experience of the people, in his journeys. There are no cheesy shots of a lone soldier with his head down, none of the typical sympathetic wartime human interest motivation. There’s only an exploration of the circumstance. And that makes every single image in the series that much more compelling.